I must confess I have absolutely no memory of the 2010 Chilean mining disaster that evidently captivated the entire world but yours truly. This fact probably helped me to enjoy the film The 33 more because if I had known the details going in it would have felt very predictable. It’s not a perfect film but I had an ok time watching it. If you are in the mood for a cheesy inspirational film you certainly could do worse. 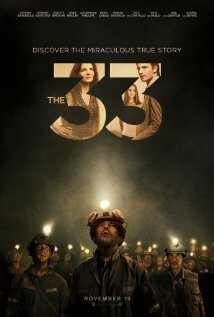 It basically tells the story of 33 miners who after a collapse are stuck beneath the ground in a mine in Chili. The men must use the small supplies they have to survive and try to get along in the hot, tense cramped quarters. 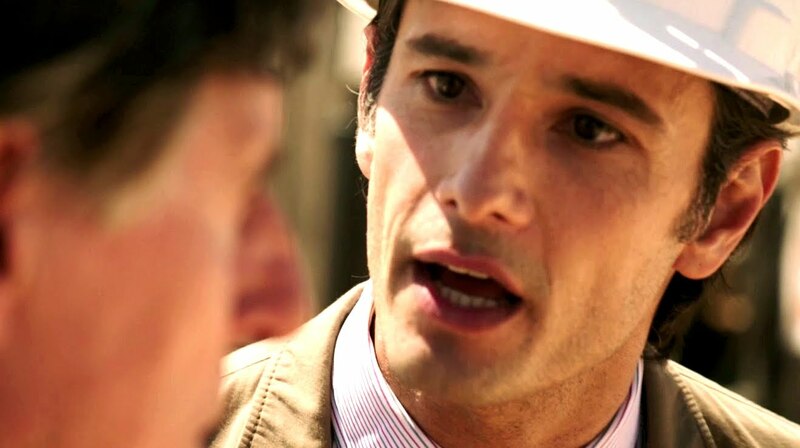 Meanwhile above ground their families are trying to get more help and Laurence Golborne (Rodrigo Santoro) the minister of mining is trying to manage expectations and find a way to drill down to the men. For the most part I liked the performances of the actors playing the miners. 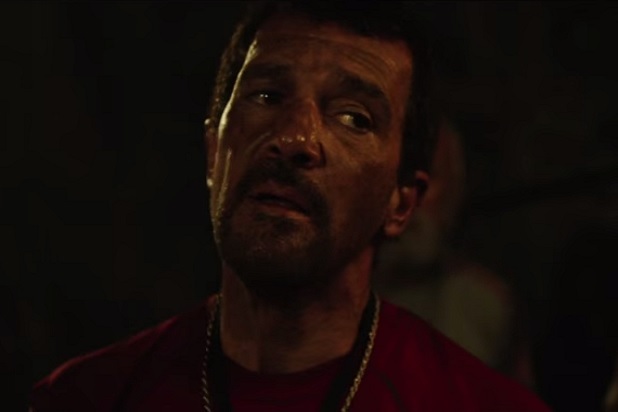 Antonio Banderas is good as the leader and Lou Diamond Philips as the safety officer who feels he let the men down by not insisting on safety to management. Above ground the acting is more dicey. Juliette Binoche is completely miscast as the estranged sister of a miner. There are also a lot of caricatures that made me cringe like 2 women that are in love with a miner- one wife, one mistress. Gabriel Byrne appears as an engineer and he is pretty good. There are a couple of choices the director Patricia Riggen made that felt odd to me. First of all, some characters speak Spanish with subtitles but the majority speak English with a Spanish accent. I found that very distracting. She should have just gone with one or the other. Also she could have done more to create a sense of claustrophobia in the mine. It felt hot but never the kind of thing that would make a man crazy. The audience for the film also feels a little muddled. A few times it feels like it is aiming for a faith based audience but then you have things like mistresses and a weird segment with the men hallucinating their females feeding them that evangelical purists will not like. It’s also way too long. 127 minutes really started to drag and should have been more like 90. There was no need to include multiple scenes with them rationing food or multiple scenes with bigwigs shouting about giving the men ‘false hope!’. The Juliet Binoche scenes in particular could have been cut out and it would have been much better. That said there were strong moments particularly from Banderas and I did feel inspired by the end of it. The late James Horner score helps add to the inspiring feel. I did want to see them succeed and get rescued and it was exciting when (spoiler alert) they were! I guess it is one of those films you take it for what it is- a cheesy inspirational story. That’s what I thought I was going to get and that’s what I got. So if you are in the mood for that watch it! I remember this incident quite well. I remember that in Physics class, our professor was trying to get us to talk about the physics behind the way they got them out in the end. So, since it’s cheesy, would you agree with the statement that this is basically a Lifetime movie on the big screen? Pretty much I’d agree with that but with bigger production values than lifetime. I actually liked this movie. Yeah. I wouldn’t put it up there with films like War Room, Do You Believe, etc., but very enjoyable film nonetheless. I will say that I was surprised to find that the older male white gentlemen was president of that country and not the minister of mining, you know? Forgive me if I accidentally sound racist for that, but I was just saying. 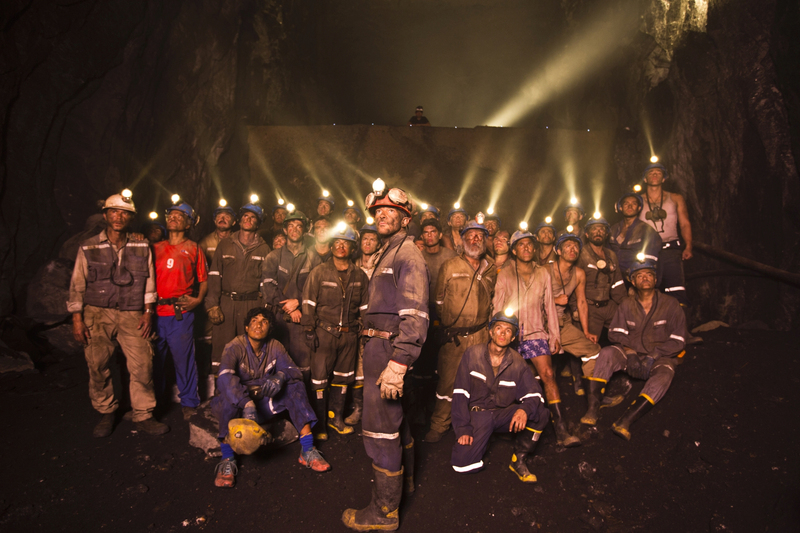 Also, I thought it was great to know that those 33 miners have a close bond with each other to this day. Oh, and the way they managed to get those miners out of there, I thought hat was very clever. I’d probably give this one a B or something like that. It may have problems, but vey enjoyable for sure. Anyway, great review! Well, of course I did. I mean, since God is mentioned quite a bit in this film. Anyway, glad to know you enjoyed this one even to a degree.